Wall Industries, Inc. offers a wide-array of standard products also available in medical versions, as well as fully custom medical power supplies and power converters. All units are 100% burned in and load tested, and our comprehensive design, design verification, and screening capabilities provide our customers medical power solutions to meet their needs. This 2kw medical battery charger offers an AC input of 90-264VAC and has multiple 12VDC battery charger outputs. It can be controllable, and it is also fully EMI compliant to FCC part 15 subpart B. This medical desktop power supplies is a 24VDC battery charger. It is fully ruggedized to mil standard 801, and is compliant to Mil standard 704 and 1275. 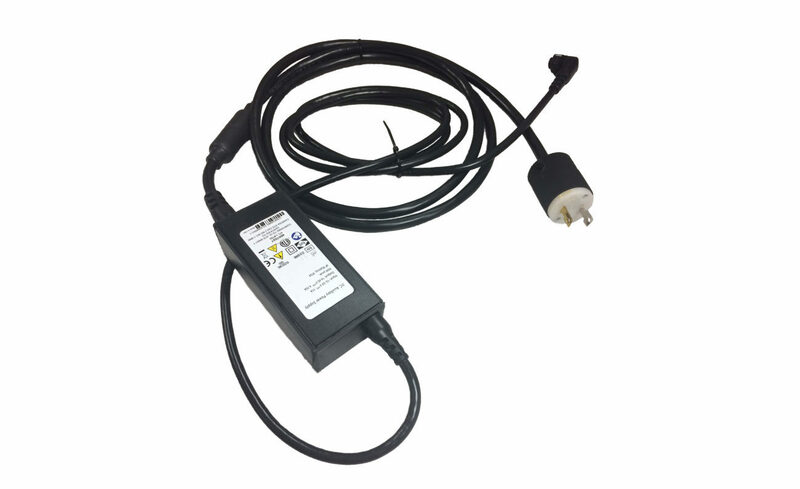 This charger is also fully EMI compliant to mil standard 461 for both radiated and conducted. Wall custom power solutions have solved many challenging scenarios where equipment needs to serve in operating rooms, medical offices, or in the field. In all cases, we partnered to strategize, design, and deliver power in encapsulated and ruggedized equipment. Wall offers an array of screening options to meet both the needs set forth by medical standards, and those set by individual customer requirements. Wall offers one of the most comprehensive custom product capabilities in the power converter industry, with power ranging from 1 watt to 7 kilowatts (kW) and beyond. We offer standard products: high-density designs, complete brick family: 1/8, 1/4, 1/2, and full brick. Features include 2:1 and 4:1 input ranges, high efficiencies up to 93 percent, with single and multiple outputs. Additional options include remote on/off, continuous short circuit protection, remote sense, external trim, and synch options. 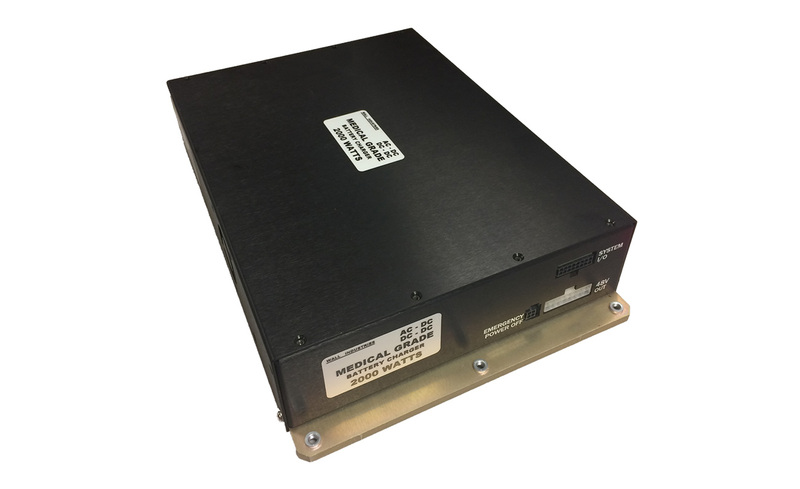 With power ranges from 1 watt to 3 kilowatts (kW) and beyond, these high-reliability power supplies are available in open card, cased, and in some series, encapsulated. Features include universal input, soft start, single and multiple outputs. All open card and cased switchers are agency approved. This medical device application required a low-cost, medical-grade power supply to for C-PAP machines. The client specifications required an especially cost conscious power supply and off-shore supply chain support. Wall Industries worked with one of its offshore partners to modify an existing medical grade power supply to meet the application’s derating guidelines and performance screening tests. Wall’s design expertise and off-shore relationships met the client’s design and cost requirements within the project’s timeline. This military-grade, power converter for a medical device required a power converter to charge the battery in a defibrillator from either a ground vehicle or aircraft Wall Industries engineering team worked with the customer to create a wide input range military and medical grade (EN60601-1 3rd edition) DC-DC converter that met all specifications required. This meant both commercial and military EMI, shock and vibration as well as safety. Wall Industries worked with a leading design and manufacturer for remote surgical robots to create a power supply that would not only power the robot but act as a UPS allowing fault-free operation even in a power outage. This design was Microchip-based and met EN60601-1 3rd edition standards. The surgical robot’s uninterrupted power supply’s monitoring capabilities enabled keeping its batteries charged while in operating mode, as well as a smooth transition of power in case of a plug disconnect or power outage.